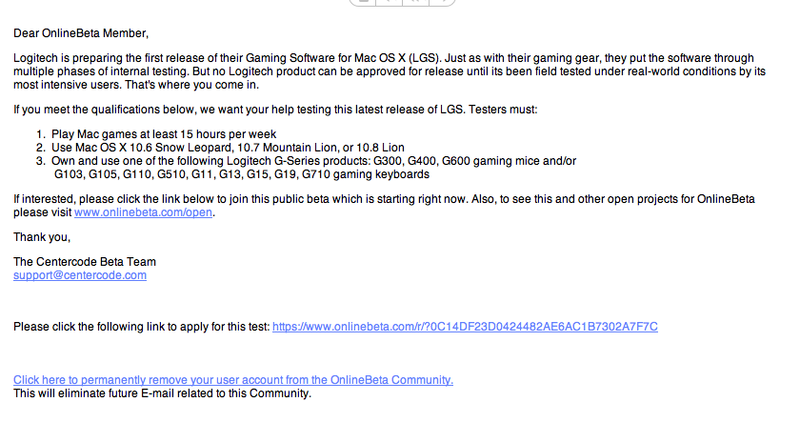 According to a beta tester listing on OnlineBeta.com, Logitech is finally preparing to support OS X gamers. At long last, the company is working to release its “Gaming Software” for Mac OS X that lets users configure their Logitech gaming mice and keyboards to optimize performance and play. It’s unclear what this type of software will do specifically, as the listing is kept very vague, but the most obvious conclusion is that the OS X software will configure the lights and controls of various gaming mice and keyboards sold by Logitech. We all know that in computer gaming you must have the right tools to claim victory. The more flexible and configurable your keyboard and mouse are, the more likely you can come out on top in your favorite game. We are now starting a public software beta test that is open to anyone who meets the requirements below! To participate in this test you need to regularly use one of the following Logitech gaming products: G300, G400, G600 gaming mice and/or G103, G105, G110, G510, G11, G13, G15, G19, G710 gaming keyboards. Also, this test is for Mac users only who spend lots of time playing games each week. If you are a gaming jockey and want to enhance your experience, you will want to try out this new software. So log in, download this exciting update and share your feedback! Logitech is listening and they want to know what you think about the new enhancements! To confirm that the beta test is in fact underway, a tipster also sent us a screengrab of an email he/she got as part of Logitech’s beta program. 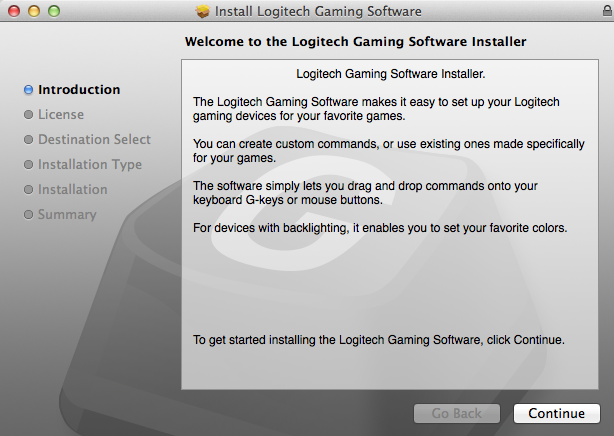 Some of Logitech’s hardware already plays nice with Mac OS X thanks to the company’s GamePanel keyboard software. But for the most part, Logitech focuses its software products on Windows users, and rightfully so. PC games are made for Windows machines. Still, it’s nice to see that Mac gamers will be able to enjoy their gaming tools to the same extent their Microsoft-friendly counterparts do.